Although Tara is about to leave on holidays, she finds Steed's next mission—to Bermuda—irresistible. Steed is all set to leave on three weeks holiday. As he exits his flat, Tara arrives asking how his vacation was. Three weeks had vanished from Steed's mind! As Tara helps him pursue a few tenuous clues, she uncovers a plot to kill Mother. 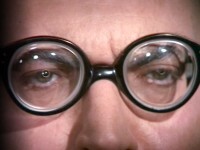 On the strength of Patrick Macnee's memorable performance, as well as a number of uniquely moody, atmospheric sequences, this one emerges as one of the better Tara King episodes. 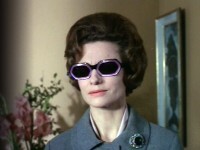 Kate O'Mara (Lisa) played the evil Madame Gerda in the short-lived stage play of The Avengers. Her costume was a black PVC catsuit—she complained that she could not sit down it it, and that it also creaked. Steed is followed down the street by an invisible whistling man—effectively eerie.